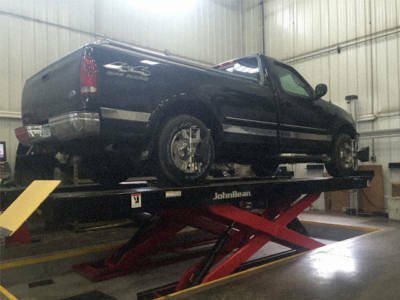 With the amount of expensive equipment and technology in today’s vehicles, it’s crucial to bring in your vehicle to a professional mechanic or service department for maintenance. That being said, there are plenty of simple tasks you can complete at home to help your vehicle’s performance and avoid those extra trips to your mechanic. Not only can you save some money by fulfilling these maintenance jobs at home, but you can even learn a thing or two about your car. We’ve compiled a short list of relatively easy maintenance tasks you can do yourself at home, but we recommend consulting a professional before trying any of these out. If you have any questions or need any major services for your vehicle, be sure to bring it to Friedrich’s Auto & Truck in Rice, Minnesota. We proudly serve St. Cloud, Fargo, Duluth, and Minneapolis, MN. This may sound redundant, but there are so many answers that can be found in your vehicle’s manual. Not all vehicles are made identical so you can learn about the manufacturer’s recommended schedule to improve your vehicle’s lifespan. In addition, you may void your car’s warranty if you don’t follow some steps found in the manual so be sure to read up. For how important replacing your air filter is, you’d think the process would be much more difficult. Replacing your air filter is among the easiest tasks on this list so there’s no reason you should ever hold off on it. Your engine requires clean air flow and your air filter helps prevents dirt, debris, particles, and everything in between from getting in. Better air flow will lead to improved fuel efficiency and engine lifespan while lowering emissions. If you live around here, you know the amount of rain and snow we deal with on a yearly basis. With that in mind, you should be replacing your wiper blades at least once a year to prevent streaking and poor performance. Driving in the rain or snow is dangerous alone, so driving with restricted visibility is just a poor decision. Changing your vehicle’s oil is a must for proper engine care. Oil helps lubricate all the parts in your vehicle to function properly and not changing it will quickly affect your vehicle’s performance. The most important thing to remember about changing your own vehicle’s oil is to wait a few hours after driving as the oil may be dangerously hot. Most new cars require an oil change between every 5,000-10,000 miles, but as mentioned before, check your manual to see what the manufacturer recommends. Changing your spark plugs is another simple, cheap procedure that plays a vital role to your vehicle’s health and performance. Your spark plugs ignite the gas so when they fail, a multitude of problems can arise. Luckily, you don’t have to change them as frequently as your oil or air filter. Most spark plugs need to be replaced every 30,000 miles or so, but once again refer to your owner’s manual. While headlights don’t play a role in your vehicle’s health, consistently checking them can prevent a ticket or worse, an accident. Replacing the bulbs may not be a task you can complete at home due to sealed beam headlights on certain models, but checking your headlights, turn signals, and brake lights is easy. Having a friend when checking your brake lights will make it easier, or you can park in front of a flat surface and see the reflection to ensure they’re shining correctly. Don’t forget to check out our guide on winter preparation for your vehicle to keep your car at peak performance during the colder months. Our service department is always here to help you and your vehicle whether it’s as simple as an oil change or as complicated as frame repair. Just give us a call or visit our shop near St. Cloud, MN!